Today, most of the materials end up in landfills. WSU researcher and extension specialist Karl Englund would like to give composites a second life that would both reduce environmental impacts and potentially introduce new products to the market place. Englund has built his research career by breaking materials down and finding new ways to put them back together. His dual appointment as faculty and Extension specialist makes applied industrial research and development part of his mission. When companies run into a problem – like what to do with 2 million pounds of yearly composite material waste that is only expected to increase – he collaborates on research and development to explore possible solutions. As part of WSU’s Composite Materials Engineering Center, Englund also offers technical expertise and facilities to test and evaluate composite materials. Collaboration and resources offered by researchers like Englund demonstrate why WSU was asked to partner on the recently-opened Composite Recycling Technology Center in Port Angeles. The Center is a collaboration between local city government, companies, colleges, and universities to divert waste for ecological and economic benefit while also training a workforce prepared for this new segment of the composite materials supply chain. WSU’s involvement will help discover answers to industry questions, develop new technologies and processes, and create demand for new products. Wind turbines provide an alternative energy source that can reduce dependence on fossil fuels, but the giant blades that make up the machines will contribute to waste at the landfill. 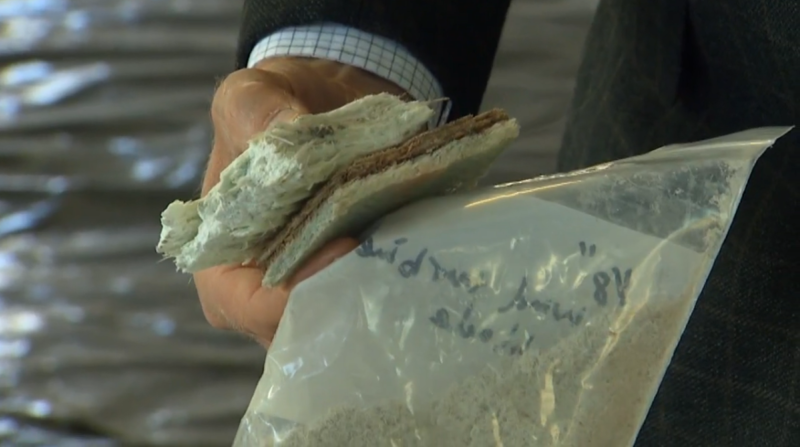 To find other options, Englund is working with Seattle-based Global Fiberglass Solutions Inc. to recycle and manufacture composite fiberglass material from the decommissioned blades. For their project, GFS shreds wind turbine blades into palm-size pieces that WSU researchers refined by grinding and milling, processed into new composite materials and tested. The WSU team determined that the materials performed better than many wood composites. A finished product from the recycled blades could have a variety of applications, from floor tiles to plastic road barriers. The research team has also started working with Janicki Industries on the possibilities of turning the blades into composite materials for aerospace, marine energy, space, military, transportation and architecture customers. Read more. This project brings together two areas of WSU research – materials science and water – to simultaneously solve waste and water pollution issues. In collaboration with Boeing and the Washington Stormwater Center in Puyallup, Englund and his research colleagues will explore the possibilities of using recycled carbon fiber composite scraps to reinforce porous pavement material for use on roadways, and a variety of other applications. The project would both make new use of an end-of-life product and help filter pollutants out of stormwater before it reaches soil and streams. Read more. The WSU researchers also recently completed a project with Triumph Composites Systems in Spokane, Wash., to recycle carbon fiber composite materials used in many airplane parts, such as for flooring and ventilation. Supported by a grant through the Joint Center for Aerospace Technology and Innovation (JCATI), Englund used low-energy methods to reprocess the composite materials to create potential new parts. The composites derived from the scraps at Triumph for this project were used to make 100 percent recycled products, with no added resins or additives.